I've recently been afflicted by a serious bout of writer's block and lack of fashion-related inspiration. I blame the summer heat, as it makes dressing up much less fun. Although things have been winding down for me at the office, I've been busy with other work-related things, including finally being admitted to the bar, almost a year after the exam! In most states, one files bar admission paperwork when registering for the exam, and formal admission to the bar follows shortly after exam results are released. In New York, one generally only starts filing the paperwork after finding out about passing, and it took me ages to compile everything that was required. Notarized affidavits from former employers in the legal field were particularly difficult to get. 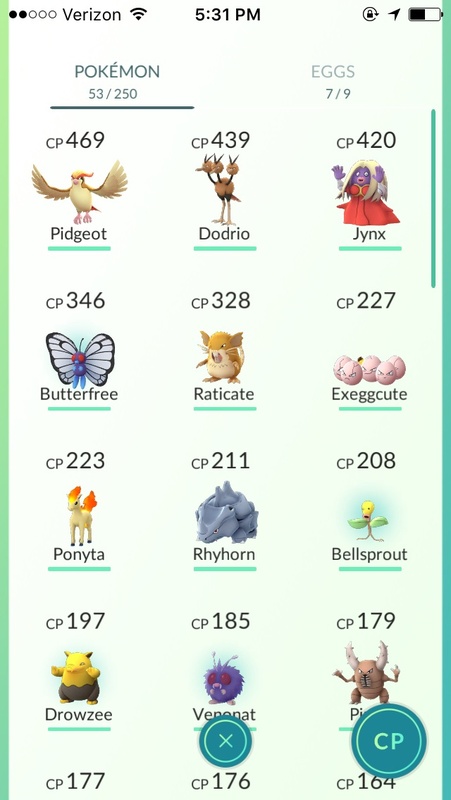 I, like so many others, have fully bought into the Pokemon Go fad. I've been around both NYC and the suburbs since the game was released, and I've noticed that people who live in the city enjoy a significant advantage. I pass by multiple Pokestops on my daily commute without much trouble. There are also multiple Pokestops in the immediate vicinity of my office building, and someone generally puts down a lure, which makes the office a good place to catch Pokemon. I've even convinced K to play, though it took a few days. Electronics are generally a nonexistent spending category for me, outside of what few occasions where I need to replace either a phone (two years ago, next time is likely a year from now) or computer (also two years ago, and I hopefully won't need to again for at least another two years). Outside of said phone or computer and maybe an e-reader, there aren't many gadgets that would add much to my life, certainly none that are worth the price to me. This month, though, I ended up making a few purchases. Because of the lengthy commute and relatively early start to my workday during my clerkship, I needed a silent alarm so that I wouldn't wake K up nearly two hours before the usual start of his day. I chose a Fitbit Flex rather than one of the other gimmicky and not especially well-reviewed silent alarm clock options out there. I also managed to carelessly lose my Kindle, and I decided to take the opportunity to upgrade to a Kindle Paperwhite for the built-in backlight. E-readers are indispensable to me when I have a longer commute. One thing I've noticed, unfortunately, is that the current software does not save one's place in non-Amazon ebook files when switches between ebooks, which is a huge usability flaw for me. Finally, K and I have added a few new restaurants to our rotation. Papparich is a Malaysian chain that recently opened in Flushing. It gets quite busy, but the setting is nice and the food is good, just like it is in Malaysia. 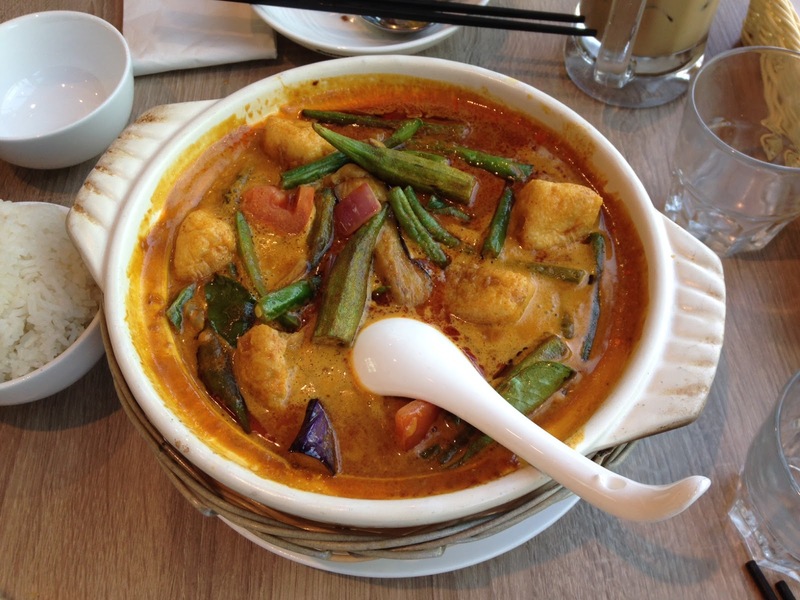 The fish curry is pictured above. We've also been going to Caracas Arepa Bar in the East Village, which can also get extremely busy, though we've never had trouble getting a seat during weekend brunch hours. I went to Grill 21 with friends, so K hasn't been able to try the food there yet, but they serve a good range of home-style filipino dishes with generous portions. 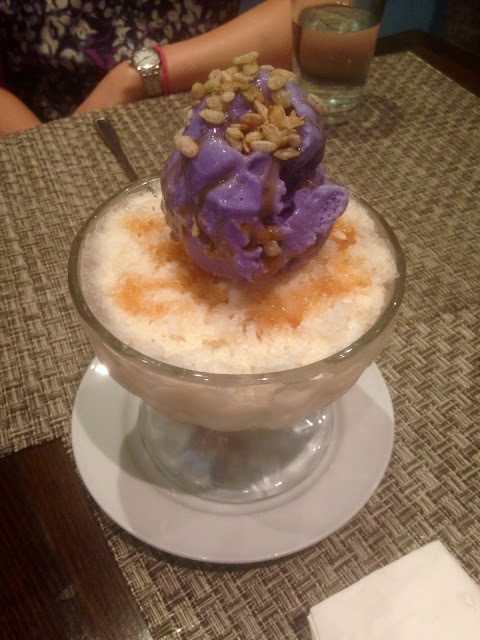 I also tried halo halo for the first time, and it was very colorful and tasty.